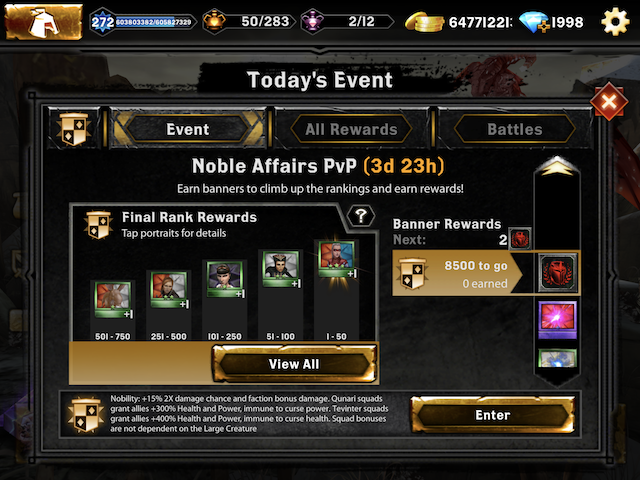 Nice event! meta being beaten by TEO teams, love it! can they beat Golem squads? I'm gonna miss this event. Beating meta with event enhanced heroes was fun, fun, fun. TEOs v Shales normally? I think so, yes. I'd try two Tev banners and two TEOs with Shrike, power and speed.